Over the past several months, Canada’s national passenger railway operator and several bus companies have announced service reductions. Acadian Bus Lines, which operates intercity buses across Atlantic Canada, has announced its intention to close down later in 2012. Greyhound Bus Lines has announced several service reductions and closures across Northern Ontario and Western Canada. Even state-owned VIA Rail Canada recently cancelled services along several heavily traveled routes in Quebec and Ontario. Canada’s Federal Government asserts economic jurisdiction over intercity passenger transportation across Canada and has delegated regulation of intercity bus transportation to provincial tribunals. Regulation protected established carriers from competition and purportedly assured transportation services to rural and outlying communities. Carriers were to use their earnings from their main routes to sustain services to intermediate points, but over the long term, rural and local intercity passenger train and intercity bus services have progressively disappeared across Canada. Regulation was supposed to prevent such service closures, but the regulatory system has failed. Regulation of the East Coast codfish industry intended to assure a perpetual supply of codfish while under the watchful eye of government imposed fish quotas, but Canada’s regulated codfish industry collapsed, more evidence of the failure of economic regulation. Government regulation of fish farms has achieved zero success at restocking Canada’s East Coast waters with codfish. 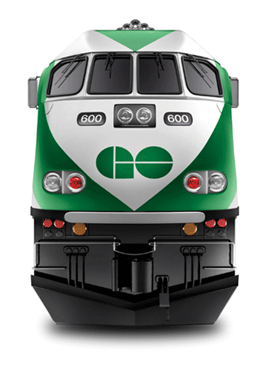 While economic regulation has failed to perpetuate intercity bus and rail passenger services, Canada’s Federal Transport Department remains reluctant to terminate its economic regulation of trains and buses. The impending closure of intercity bus services across Atlantic Canada is the result of failed economic regulation. While government officials may attempt regulatory reform or subsidize intercity bus services, there is only one way to successfully reform economic regulation or to deregulate intercity bus and rail passenger transport services. That is to shut down the regulatory agencies. Established bus companies serving major routes in Quebec have faced competition for many years. The Allo-Stop intercity carpooling service has long provided access to intercity passenger transportation services across Quebec, but Ontario prosecuted and sued Allo-Stop many years ago for allegedly competing with established bus operators. Intercity carpooling and vanpooling may be one of the future service options across rural Canada. Vehicles that carry parcels and mail may be modified to carry a small number of revenue passengers along select routes. There are numerous ways by which mainline bus companies can prepare themselves for impending competition. One method involves offering bargain seat prices aboard the largest buses that can fit on to the road. The successful Mega-Bus service achieves such a result by operating double decker buses along their main routes. They carry large passenger loads at competitive prices that may be low enough to discourage competition in a regulation-free operating environment. Mega-Bus service prices are often cheaper that the cost of an individual person traveling by private car. "While government officials may attempt regulatory reform or subsidize intercity bus services, there is only one way to successfully reform economic regulation or to deregulate intercity bus and rail passenger transport services. That is to shut down the regulatory agencies." However, Canadian provincial regulation prevents Mega-Bus from operating longer buses, such as the size of buses that operate along main routes across South America. Semi-trailers are built to a rigid length that is 3 to 4-seat rows longer that the Mega-Bus double decker buses. Long-proven steering system technology is available to ensure that vehicles of such length can maneuver turns on city streets, but provincial bureaucrats oppose extending the length limits of straight buses to that of semi-trailers. They instead support the operation of articulated buses that have failed in intercity service worldwide. While intercity bus services receive no direct subsidy and are essentially an insignificant presence on the roadways, being vastly outnumbered by trucks, passenger train services are heavily subsidized. VIA Rail is under pressure to reduce operating costs and improve revenue, with subsidy reductions pending. Previous governments have also attempted to reduce VIA Rail subsidies, before re-investing in the passenger rail service. However, private tourist and excursion passenger train services generally operate without subsidy. An end to the economic regulation of intercity passenger trains may allow for new ideas, or for improvements upon old ideas. Mainline freight trains usually carry containers and bulk cargo, not small parcels or mail that may either go by road or by air. In a subsidy-free and regulatory-free economic environment, entrepreneurs might explore combining passenger and parcel/mail transportation aboard viable trains that operate between large cities. Perhaps there would be scope to include a few passenger coaches on fast freight trains that operate between major centers. The passenger service might operate between two suburban stations at either end of the journey, where travelers would transfer to and from local transit. While a Quebec entrepreneur proposed to offer a high-speed ferry service on the river between Montreal and Quebec City, a 50-passenger ground-effect maritime technology from South Korea is able to fly at an elevation of 1-metre above the water surface. There would be a need to resolve the operating logistics of such a technology providing competitively-priced, subsidy-free services between Montreal and Quebec City or between Vancouver and Victoria. Freedom from economic regulation could enhance the prospects of ground-effect vehicles providing intercity passenger transport services between several cities across Canada. Some form of viable, self-sustaining intercity transport service would likely evolve during the period following the end of the economic regulation of such services. Big buses might carry passengers between a few cities, while carpools and vanpools might carry passengers between other cities. A parcel bus, a postal bus or truck with an extended cab and carrying a 20-ft container on its deck might provide passenger services along some routes, while express mixed trains might carry passengers along other routes. We simply don’t know what options would be pursued. But one thing is clear: The present regime of economic regulation of intercity buses and trains serves no useful purpose.